California, the Golden State is an excellent vacation destination. California is a very large state. The state is endowed with mountains, beaches, coasts, rivers, lakes and other attractions. It is an excellent spot to do various activities in addition to fishing including biking, camping, hiking among other activities. The warm California tropical beaches are an attraction to sun lovers. A successful fishing trip is be determined by the location you choose. California is an excellent fishing spot because of its warm weather. California offers anglers many spots for fishing, all year round. ​California waters provide many fishing spots because it is endowed with lakes, rivers, streams and the ocean offering anglers endless freshwater fishing, saltwater fishing or pier fishing possibilities. 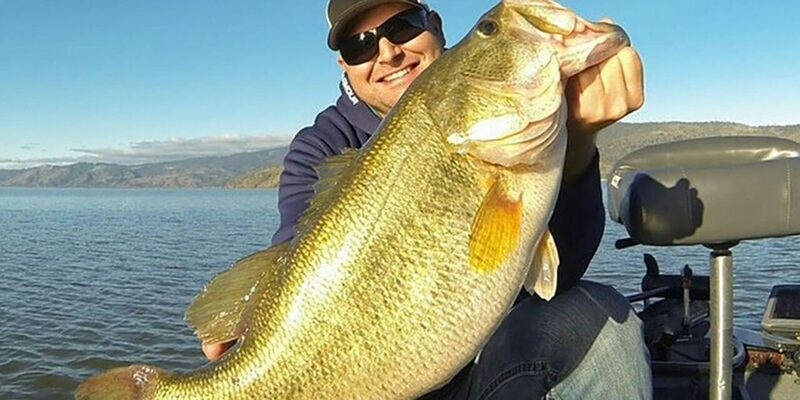 The golden state is famous for bass-fishing. In addition, expect to find trophy fish in California. In addition, expect to find trophy fish in California. If you are into pier fishing, the state of California has many excellent pier fishing spots. There are opportunities to catch many species of fish in the many pier fishing spots in California. For best fishing experiences, consider the following best fishing spot in California destinations. Clear Lake is a great vacation destination. Clear Lake is in North-Central California. It is in Lake County. Clear Lake is the largest natural freshwater lake in California. It is a good destination for fishing if you are looking for a freshwater fishing spot. It is one of the best fishing spot in Northern California. The Lake is an excellent spot to catch bass. The warm weather and plenty of baitfish, make it an excellent breeding ground for monster fish. If you are looking for a spot to do bass fishing, Clear Lake will not disappoint you. Fishing of bass in this destination is almost comparable to bass fishing in the California Delta. What’s more, it is an excellent spot for year-long fishing. You get an opportunity to explore the Pacific ocean waters when you visit Santa Monica. You will have an opportunity to do surf fishing and sports fishing in this fishing destination. Expected fish species in this spot include tiger shark, sardines, mackerel, surfperch, leopard shark halibut, croaker, kelp stingrays, and white seabass. This National Park is located about 150 miles East of San Francisco. You will find various fish species in Yosemite National Park including bluegill, smallmouth bass, and trout. You can take a break from fishing and explore this very beautiful park. Besides being an excellent fishing destination, this park is beautiful and is endowed with waterfalls, mountains, and abundant wildlife. Other activities that you can engage in include river rafting, sightseeing, rock climbing, backpacking, and hiking. Bodega Bay is in Northern California. Fish are very plentiful in this spot. You can enjoy saltwater fishing in this sea fishing spots. Fish species to expect at this coast include anchovy, Pacific mackerel, rockfish, and surfperch. Lake Shasta is located in Northern California. It is a great freshwater fishing spot. There is a great diversity of fish species in this Lake. One of the top spots to do bass fishing, it is also an excellent spot to get trouts and salmon. Expect to catch bass, King Salmon, catfish, rainbow trout, sunfish among other fish species. Lake Shasta is an all year round fishing spot. It is also easily accessible. San Diego California has San Diego Bay as its port city. It is one of the best harbors in California. There are many fishing spots in San Diego. You have an opportunity to do pier fishing, freshwater fishing, and saltwater fishing. ​While doing pier fishing, you will get an opportunity to catch leopard sharks, barracuda, bonito, halibut and various species of bass. Saltwater fishing will see you catching croaker, halibut, bluefin, yellowfin, marlin and calico bass. In addition, you will get a spot to do freshwater fishing and get an opportunity to fish catfish, carp, crappie, bluegill, and trout. Various spots in San Diego are excellent fishing spots including South Bay, Coronado Island, Sweetwater channel among others fishing spots. Smith River is located in Northwest California. This is the spot to do steelhead fishing. Expect to catch steelhead weighing up to 20 pounds. The best season to catch steelhead is during the winter period. The fishing season is between December and April. The Sacramento river drains into Francisco Bay. Sacramento River is a freshwater fishing spot. It is an excellent spot to catch pink salmon and Chinook. Other fish species include the striped bass and trout. Are you a saltwater angler? If you are, then you will be interested in fishing in San Francisco Bay. San Francisco Bay is next to San Francisco City. The bay is 10-35 feet deep. San Francisco Bay is a perfect destination if you want to catch halibut fish. ​Even though you can do all year round fishing, the best season to go halibut fishing is from May through the summer season. San Francisco Bay experiences large tide swings. The bottom of the bay is muddy, making it a perfect habitat for halibut. As you plan your fishing trip to California, be sure to take a break from fishing and include other activities in your vacation. Consider visiting the National Parks, the many cities and the other tourist destinations in California. Consider visiting Los Angeles. Visit this City where you will find Hollywood, Beverly Hills, and the famous Disney Land. What’s more, don’t forget to visit California Wine Country. California is the largest producer of wine in America and has a reputation for producing fine wines. While fishing at San Francisco, you can plan to visit the famous Golden Gate Bridge and Silicon Valley. California has so many fishing spots to offer newbie anglers and seasoned anglers. If you are considering this destination for fishing, please be sure to get a fishing license. Fishing license information is available online.